NEW YORK - The New York Yankees have put pitcher CC Sabathia on the 10-day disabled list because of right knee inflammation. The Yankees made a series of roster moves before hosting the New York Mets on Monday night. Reliever George Kontos was promoted from Triple-A, infielder Ronald Torreyes rejoined the Yankees and first baseman Luke Voit was sent to the minors. 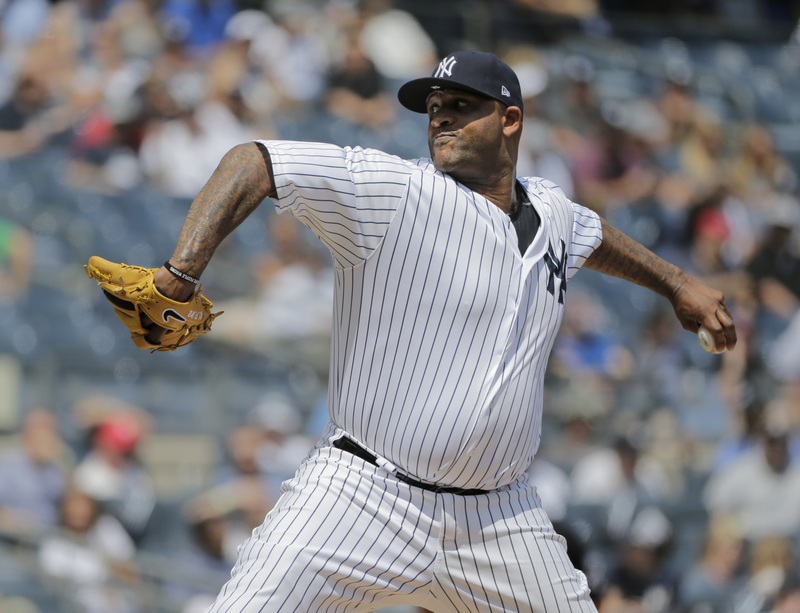 Sabathia was put on the DL a day after pitching six shutout innings of one-hit ball against Texas. The 38-year-old left-hander is 7-4 with a 3.32 ERA in 22 starts. 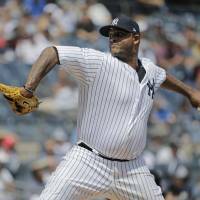 Sabathia has been bothered by knee trouble for several seasons. Boosted by a brace, he’s been able to pitch effectively despite the problem. “We knew it was part of managing his knee throughout this particular year. He’s a pro and he’s made us aware and we appreciate that, and it gives us a chance to deviate and allow him to resuscitate and that’s all we’re going to do,” he said. Kontos made his big league debut with the Yankees in 2011. The 33-year-old righty was a combined 2-3 with one save and a 4.68 ERA for Pittsburgh and Cleveland this season. The 25-year-old Torreyes hit .323 in 24 games for the Yankees before being sent to Triple-A Scranton/Wilkes-Barre. Voit, acquired from St. Louis in a trade last month, hit .188 with two RBIs in five games for New York.